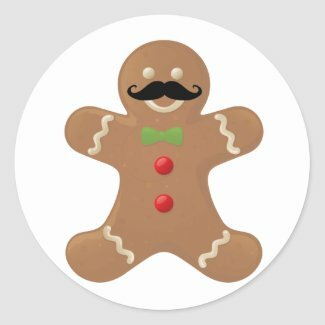 No boring white: Let's make gingerbread man cookies! 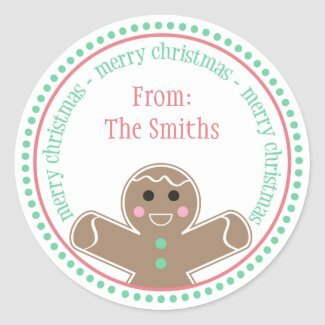 Welcome to one of the most sweet and spicy posts of the year. 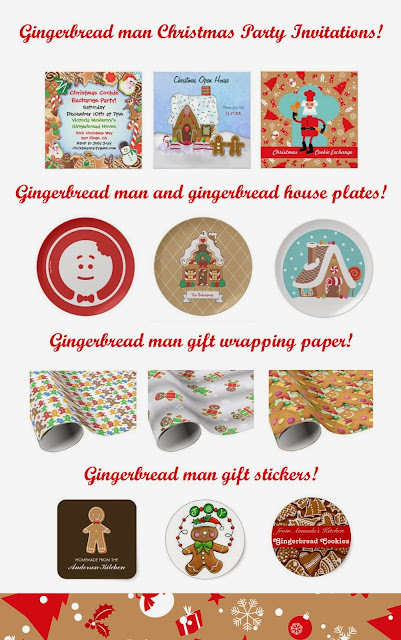 Read about the tradition, find the recipe to bake delicious gingerbread cookies and have a look at my scrumpcious selection of Cookie Swap Holiday Party Invitations, Gingerbread Man Avery Binder for Holiday Recipes, Gingerbread Man Christmas Wrap Paper and Gingerbread man Holiday Gift stickers!All these products are available through Zazzle and have Zazzle guarantee. 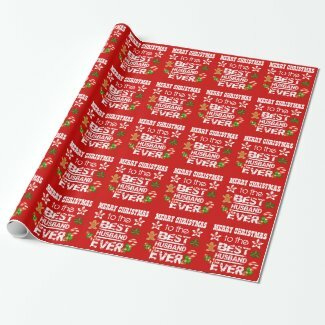 If you want to buy, click on the product and follow instructions on the store that sells it. Let's start! 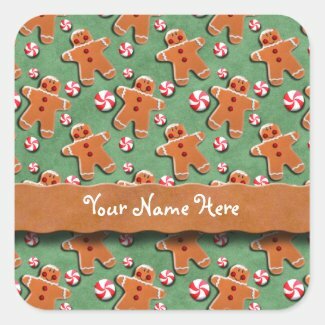 Gingerbread Cookie Swap Holiday Party Invitations - Cookie Swap Holiday Party Invitations with holiday cookies, gingerbread man inspired mostly and gingerbread houses. 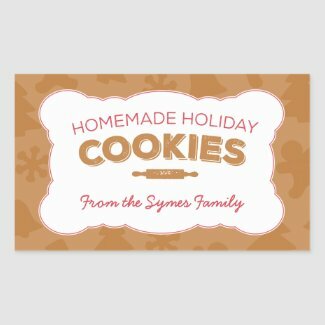 These Cookie Swap Christmas Party Invitations are perfect for any holiday event that may include these sweet treats! 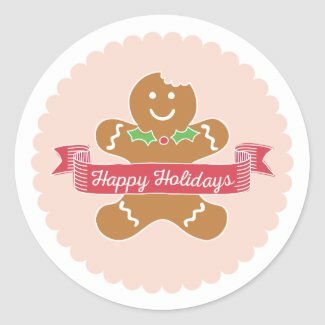 The origins of gingerbread can be traced to the ancient Greeks and Egyptians who used it for ceremonial purposes. In the 11th-century crusaders brought the spice back from the Middle East to Europe for the rich folks' cooks to experiment with. An early European recipe consisted of ground almonds, stale breadcrumbs, rosewater, sugar and, naturally, ginger. The resultant paste was pressed into wooden molds . These carved works of art served as a sort of story board that told the news of the day, bearing the likeness of new kings, emperors and queens, or religious symbols. 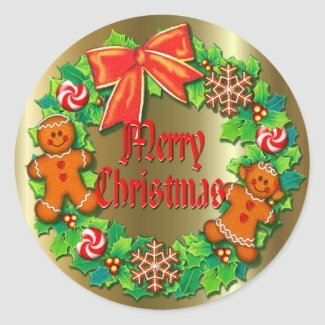 The finished cookie might be decorated with edible gold paint (for those who could afford it) or flat white icing to bring out the details in relief. In the 16th century, the English replaced the breadcrumbs with flour, and added eggs and sweeteners, resulting in a lighter product. 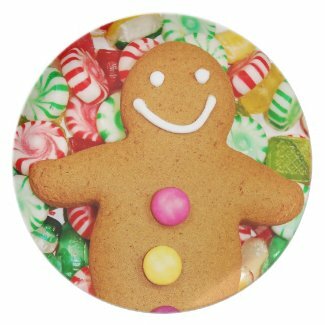 The first gingerbread man is credited to Queen Elizabeth I, who knocked the socks off visiting dignitaries by presenting them with one baked in their own likeness. 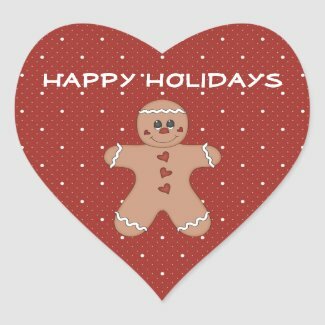 Gingerbread tied with ribbon was popular at fairs and, when exchanged, became a token of love. 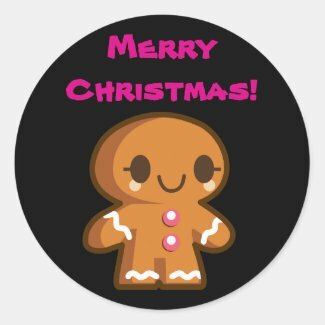 Today gingerbread is a baked sweet containing ginger and sometimes cinnamon, cloves, nutmeg, cardamom and anise, and sweetened with any combination of brown sugar, molasses, light or dark corn syrup, or honey. 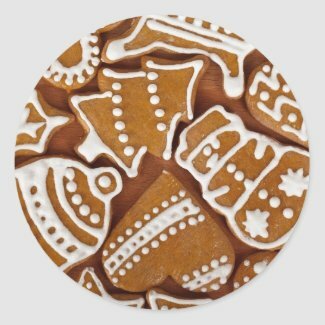 Gingerbread also can be a dark, spicy cake like Polish piernik , or an American version served, sometimes, with lemon glaze, or the lighter French pain d'epices. 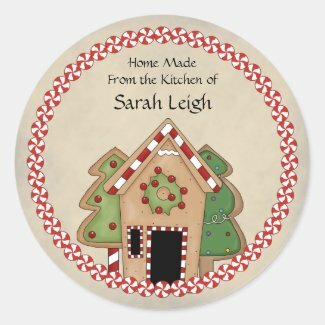 The third form gingerbread takes today is in a house-shaped confection made with a variation of gingerbread cookie dough.The gingerbread house became popular in Germany after the Brothers Grimm published their fariy tale collection which included "Hansel and Gretel" in the 19th century. 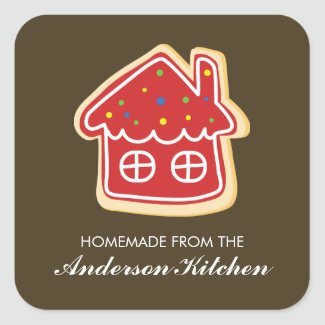 Early German settlers brought this lebkuchenhaeusle - gingerbread house - tradition to the Americas. 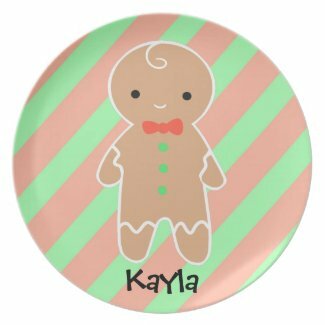 Plates for Christmas Cookies -Cute gingerbread houses and gingerbread boy and girl decorates these holiday plates. Personalize it by changing the words where available! 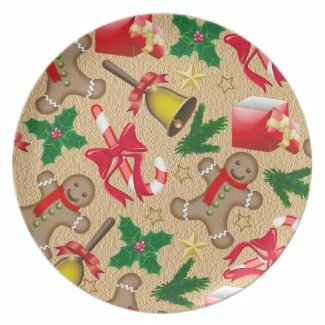 You can use these plates as holiday decor, Christmas decor, for Christmas cookies! 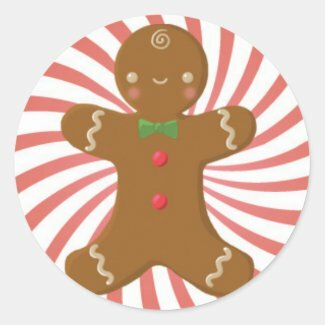 Gingerbread Man Holiday Binder Recipes! 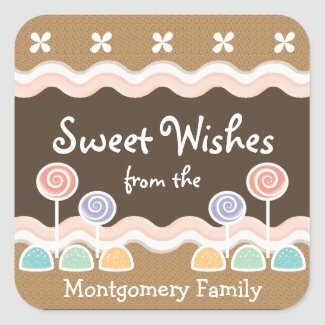 - Do you have wonderful family recipes you would love to pull together into a treasured cookbook binder? 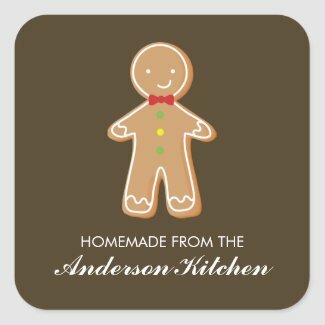 Find a Gingerbread design inspired Avery Binder that's perfect for your holiday recipes. 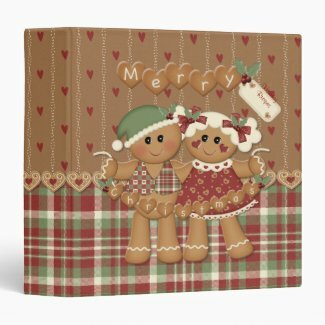 Use standard office page protectors and you have a beautiful and practical gift. 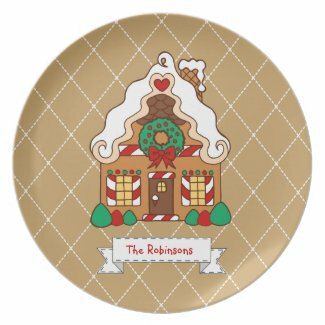 Whimsical gingerbread houses, gingerbread boy and girl, candy and more make this selection so full of sugar and spice!Most are quite easy to personalize. Position the racks in the top and bottom thirds of the oven and preheat to 350 degrees F.
Sift the flour, baking soda, cinnamon, ginger, allspice, cloves, salt and pepper through a wire sieve into a medium bowl. Set aside. 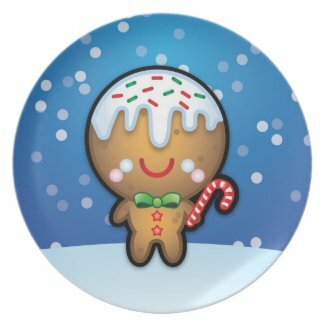 To roll out the cookies, work with one disk at a time, keeping the other disk refrigerated. Remove the dough from the refrigerator and let stand at room temperature until just warm enough to roll out without cracking, about 10 minutes. (If the dough has been chilled for longer than 3 hours, it may need a few more minutes.) Place the dough on a lightly floured work surface and sprinkle the top of the dough with flour. Roll out the dough 1/8 inch thick, being sure that the dough isn't sticking to the work surface (run a long meal spatula or knife under the dough occasionally just to be sure, and dust the surface with more flour, if needed). 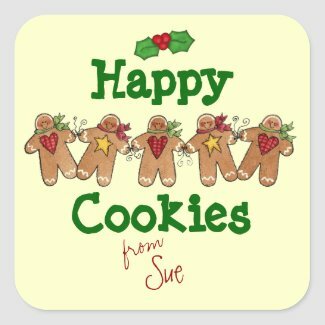 For softer cookies, roll out slightly thicker. 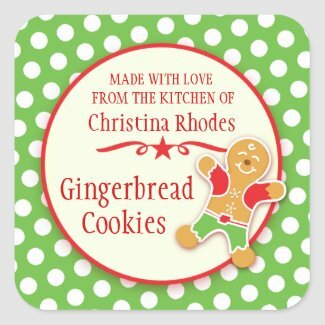 Using cookie cutters, cut out the cookies and transfer to nonstick cookie sheets, placing the cookies 1 inch apart. Gently knead the scraps together and form into another disk. 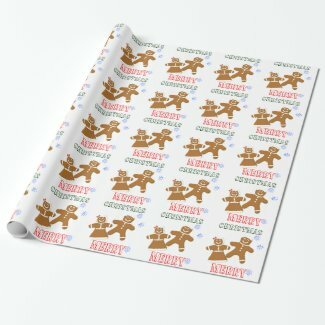 Wrap and chill for 5 minutes before rolling out again to cut out more cookies. 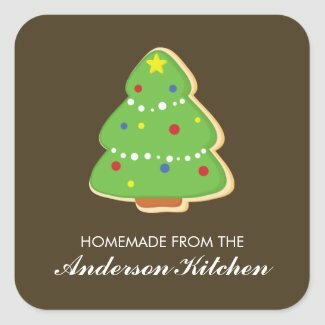 Make ahead: The icing can prepared up to 2 days ahead, stored in an airtight container with a moist paper towel pressed directly on the icing surface, and refrigerated. 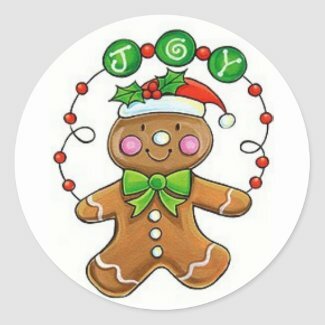 This icing hardens into shiny white lines, and is used for piping decorations on gingerbread people or other cookies. 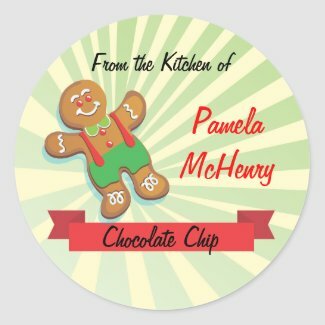 Traditional royal icing uses raw egg whites, but I prefer dried egg-white powder, available at most supermarkets, to avoid any concern about uncooked egg whites. 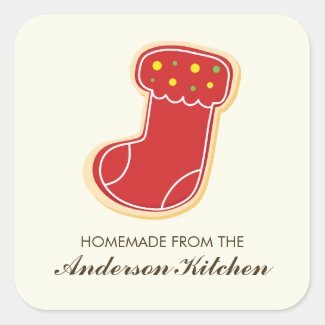 When using a pastry bag, practice your decorating skills before you ice the cookies. 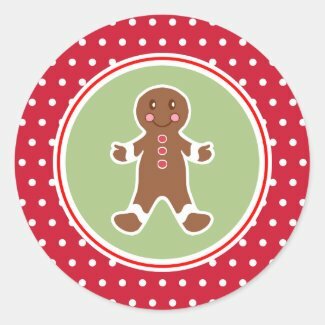 Just do a few trial runs to get the feel of the icing and the bag, piping the icing onto aluminum foil or wax paper. If you work quickly, you can use a metal spatula to scrape the test icing back into the batch. Dried egg-white powder is also available. 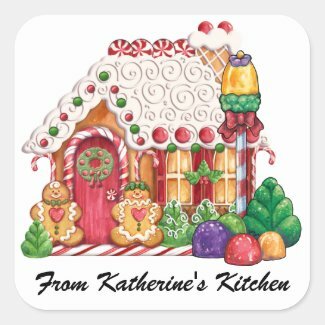 Meringue powder, which is dehydrated egg whites with sugar already added, also makes excellent royal icing; just follow the directions on the package. However, the plain unsweetened dried egg whites are more versatile, as they can be used in savory dishes, too. To pipe line decorations, use a pastry bag fitted with a tube with a small writing tip about 1/8-inch wide. It may be too difficult to squeeze the icing out of smaller tips. If necessary, thin the icing with a little warm water. To fill the pastry bag, fit it with the tube. Fold the top of the bag back to form a cuff and hold it in one hand. (Or, place the bag in a tall glass and fold the top back to form a cuff.) Using a rubber spatula, scoop the icing into the bag. Unfold the cuff and twist the top of the bag closed. Squeeze the icing down to fill the tube. Always practice first on a sheet of wax paper or aluminum foil to check the flow and consistency of the icing. 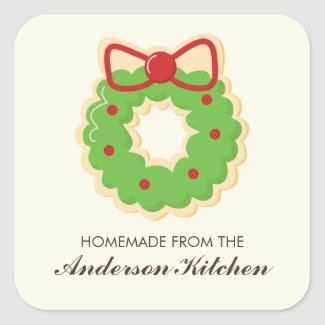 Traditional Royal Icing: Substitute 3 large egg whites for the powder and water. 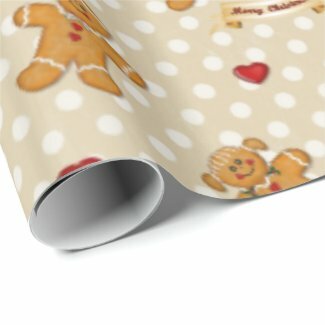 Gingerbread man Christmas Wrap Paper - Tasty gingerbread man print Christmas wrapping paper for a gift second to none! 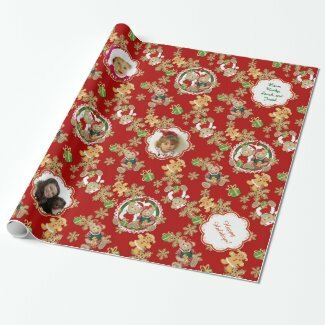 Wrap it up in beautiful and high quality custom wrapping paper. 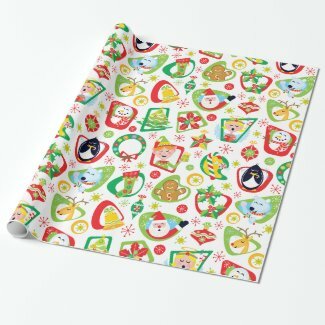 Choose from 4 types of paper and 5 sizes! 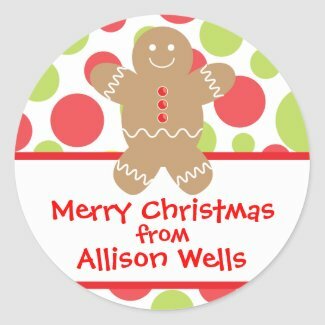 Holiday Stickers from Zazzle! 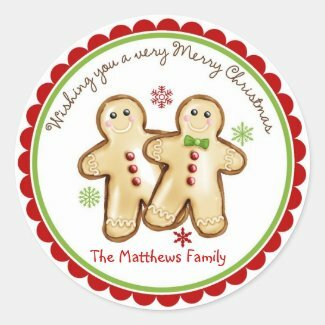 Your holiday party favors will be ultra special with these customized gift tags. 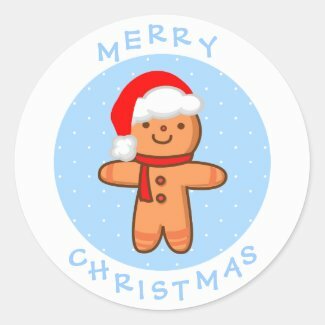 Most of these sticker feature a gingerbread man, assorted Christmas sugar cookies or gingerbread houses. They are ulta sweet! 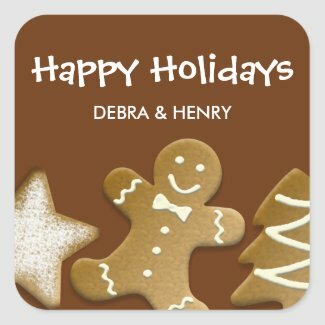 Some you can personalize with your holiday greeting and name. 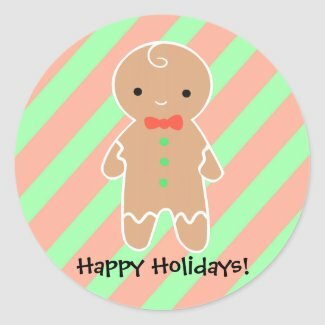 These fun holiday labels are perfect for gift bags, boxes, candy bags, mint tins, jars and more! 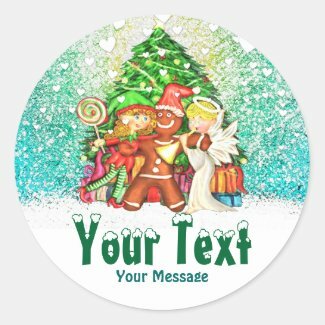 Get the best custom sticker printing at Zazzle. 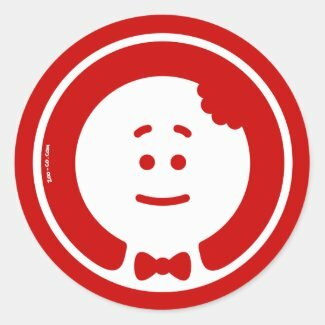 Create your own stickers online on zazzle. 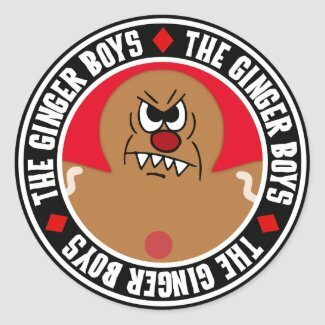 Design your own car stickers at zazzle.com.